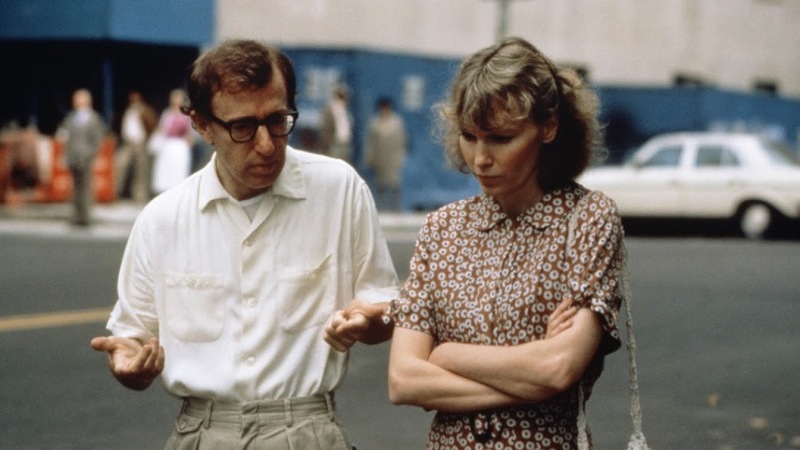 A debate that will likely rage on so long as there are people watching movies, what is Woody Allen’s finest film? I’ll submit Hannah and Her Sisters, from 1986, as the answer. Numerous great Allen movies came before, but Hannah seemed to crystalize his vision. All the humor, insight, depth, incisive acting, and sobering truths of Allen’s work up to that point culminated with his Academy Award-winning screenplay. He has yet to come even close to equally Hannah in the 27 years since. One of the many reasons the film works so beautifully is the seamless way Allen intertwines the related, (but independent to a degree) arcs of each main character. Along the way, Allen juggles flashbacks, multiple voiceovers, and a large ensemble cast to convey the tumult below one family’s calm surface. Hannah (Mia Farrow) is the most selfless, understanding, and charitable member of the family. 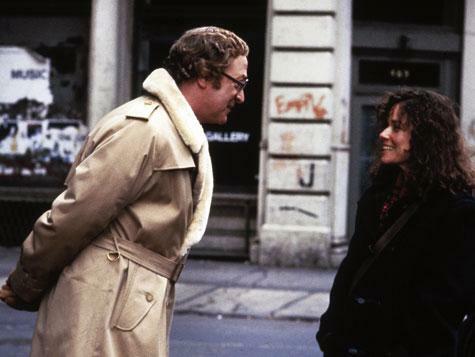 So self-sufficient is Hannah that she barely recognizes the growing disinterest of her husband Elliot (Michael Caine). 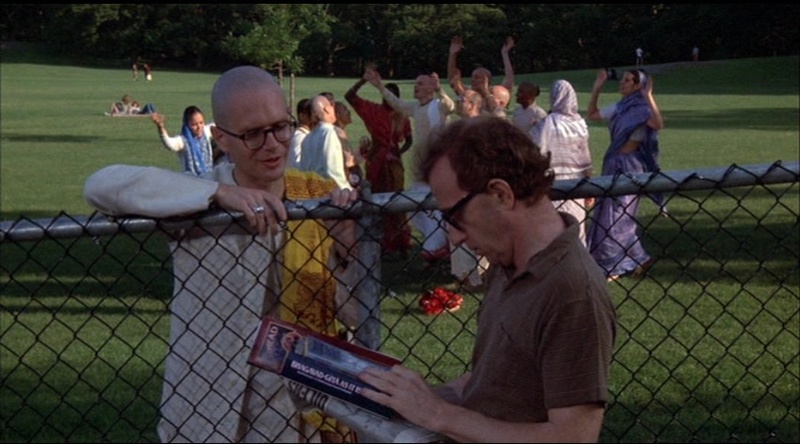 Elliot has set his sights on Hannah’s sister Lee (Barbara Hershey), whom he showers with small gifts such as books of e.e. cummings poetry. But even if she wasn’t his wife’s sister, Lee is off the market. Lee lives with Frederick (Max von Sydow), an overbearing, reclusive intellectual who covets her as a sort of pet project. He uses her as a sounding board for his philosophical musings, set on imposing his worldview on Lee as a way of “educating” her. Understandably aching to break out of this cage, Lee responds positively to Elliot’s advances, knowing full well that she’s betraying Hannah. 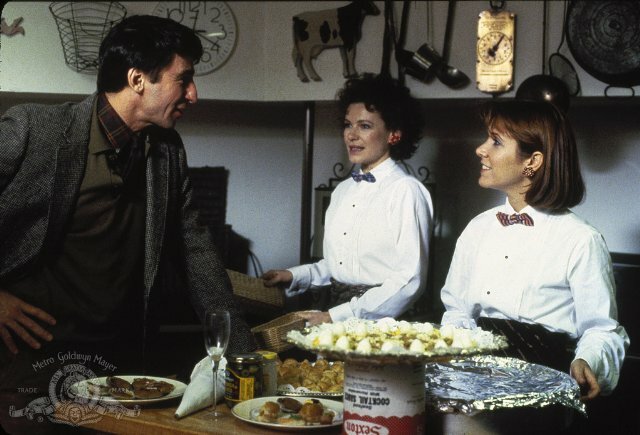 The third sister is free-spirited Holly (Dianne Wiest), a perpetually unhappy, insecure woman who has yet to find her own path. Constantly second-guessing herself, especially around her far more confident friend April (Carrie Fisher), Holly is an ever-present emotional drain on the family. While the three sisters and their relationships provide more than enough to fill the film’s 106 minute running time (longish for Allen), a few wild cards are tossed in. A surprisingly disturbing subplot emerges involving the background of Hannah and her sisters’ retired showbiz parents, Norma (Maureen O’Sullivan) and Lloyd Nolan (Evan). Their charming demeanor at holiday gatherings masks deep resentments between the bitterly unhappy couple. Then there’s Hannah’s first husband, Mickey (Allen). If there’s one potential wrench in the works, it’s the character of television writer Mickey—played by Allen in his usual neurotically funny manner. But the character who initially seems like grafted-on comic relief winds up delivering the message of the film after staring eternity straight in the eyes when doctors suspect he has a brain tumor. As Mickey struggles with the big, unanswerable philosophical questions, he unwittingly discovers a reason to embrace and value life after stumbling into a movie theater one afternoon: the Marx Brothers’ Duck Soup. For Mickey, the pleasure derived from that classic comedy is enough to justify the various sources of pain in life. Allen, in turn, has provided viewers with their own reason to keep on keeping on. 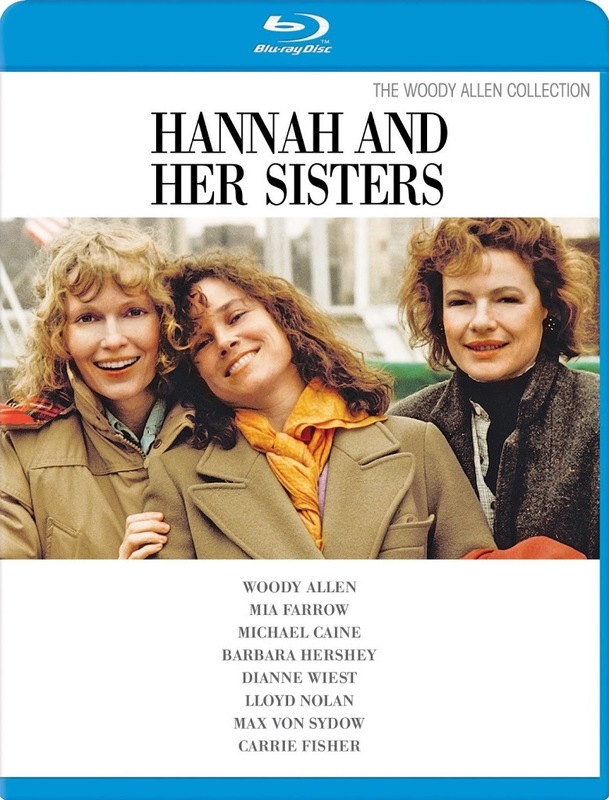 Hannah and Her Sisters is a masterpiece of thoughtful, questing cinema that explores many large scale themes (loyalty, infidelity, the meaning of life) while examining deceptively minor ones (what we say versus what we mean, envy amongst friends, career dissatisfaction). There’s not much to note about the audio/visual presentation on MGM’s Blu-ray, other than the fact that this is, in fact, a marked improvement over the previous DVD (which was, at least, anamorphically-enhanced—strangely enough, not all of them were). Whereas the DVD offered an excessively noisy, dingy looking transfer, the Blu-ray is far less so. Film grain hasn’t been scrubbed away, thankfully, but the cheesecloth layer of grime that marred the DVD has been. The DTS-HD MA 1.0 mono soundtrack allows us to focus on the dialogue, which is delivered with the clarity expected of a lossless track. Hannah and Her Sistersisn’t plot-driven filmmaking by any means. But it is a timeless mixture of comedy and drama that will continue to endure. Both Diane Wiest and Michael Caine were awarded Best Supporting Oscars, but if there was an Academy Award for best ensemble cast this surely would’ve won. Woody Allen has never been (and never will be) everyone’s cup of tea, but even if you’re not a fan this is essential viewing.